Trumka argues that taking away the Obama overtime expansion could have disastrous effects for workers. For now, the overtime expansion rules are on hold after a federal judge blocked them from going into effect back in November. Millions of white-collar workers would have gained eligibility for overtime starting December 1 under the change before it was blocked. 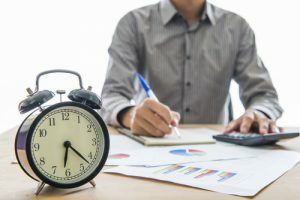 If allowed, the rule would double the threshold for overtime eligibility, which means employees making $913 per week would be eligible to receive time-and-a-half payment when working more than 40 hours a week—even if they are designated as managers. So far, new Secretary of Labor Alexander Acosta has not commented on whether he will implement the proposed Obama-era regulations. The DOL has pushed back several deadlines on its decision. According to Trumka, the AFL-CIO is preparing to take legal action against the DOL if the agency attempts to implement rules that have even a slightly lower standard than that instituted by the Obama administration. The organization also plans to defend the standard set by the Obama rules in court. The Texas branch of the federation has already petitioned to join the litigation. The AFL-CIO’s willingness to take legal action may due partially to a sense of desperation that has existed since the election of President Trump. Union membership has been steadily falling in recent years, with a record low 10.7 percent of the workforce in 2016 belonging to a union. Right-to-work legislation and other actions taken by the Trump administration have threatened the existence of unions even further. The AFL-CIO likely feels backed into a corner and is hoping to keep the ground it still has when it comes to employee rights. For further legal guidance on union rights and other labor issues for workers in New York, speak with a dedicated employment lawyer at Cilenti & Cooper, PLLC.